witty. hip. smart. generous. warm. as glamorous as any movie star of her era. my mom was the mom other kids wanted to have. on school field trips, at Brownie meetings and at birthday parties, my friends flocked around her, jockeying to be in the position of holding her hand. a shy kid, i hung back and observed as she split her attention between her many admirers. um, i might have been a little jealous. as a teenager, i simply didn’t understand the attraction. she certainly didn’t seem cool to me. but even as a young adult, i realized she was, indeed, the coolest. 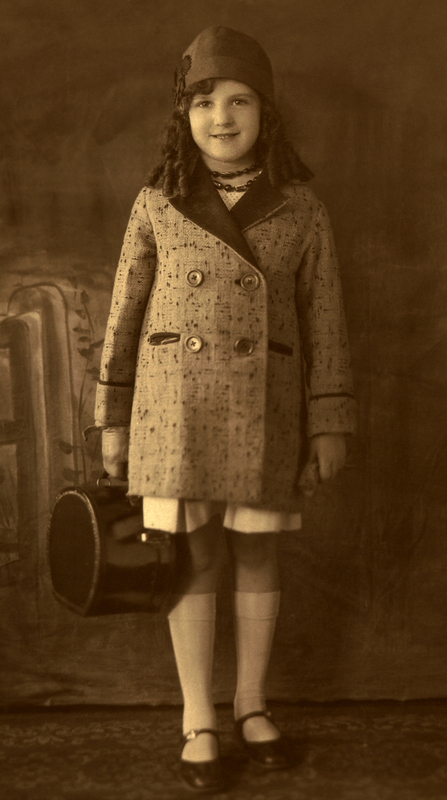 a child with spindly legs and a petite appetite, my grandfather nicknamed her Faygeleh (or little bird). the baby of her family and a daddy’s girl, she worshipped her brother, ten years her senior. with an open heart, she embraced and enchanted nearly everyone she met; i think this ability to readily accept others was her greatest gift. her engaging sense of humor and razor-sharp timing rivaled that of her redheaded contemporary, Lucille Ball (well, they both dyed their hair red and were incredibly funny). disciplined and hardworking, mom did equally well in school and the workplace, making her parents beam with pride. until she met my dad. oh, yeah. he was a bad boy. a fabulous dancer/crooner. a Catholic. and he had his own car. my grandparents’ perceived three strikes. i’ve heard that they might have been concerned about what lay ahead for their daughter. 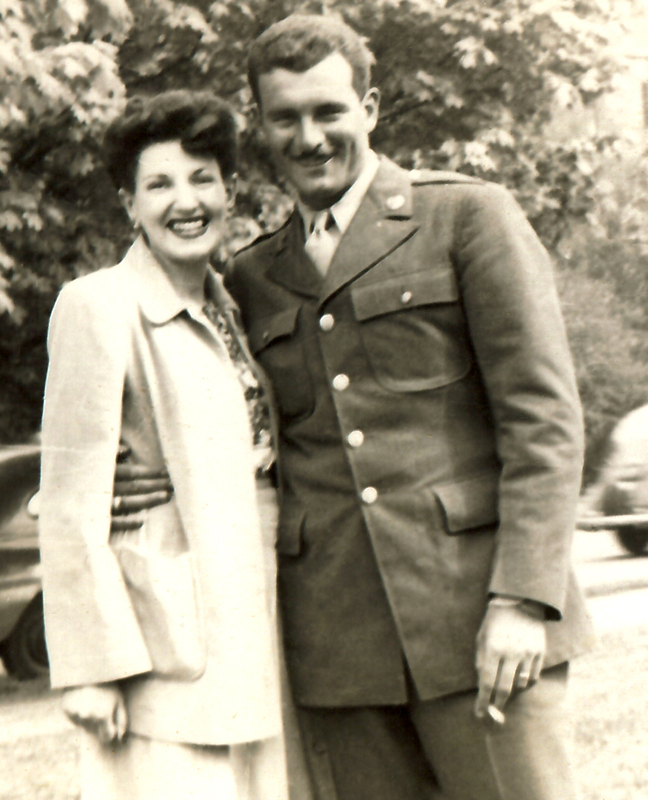 but madly in love, my parents married in the early ’40’s. while not an entirely perfect fairy tale, mom and dad were gloriously happy. they’d spend occasional weekends traveling from Boston to New York City, where they danced the nights away to the big bands of Benny Goodman and Count Basie. Duke Ellington’s Satin Doll later became their song. then WWII came along, accompanied by a long separation. mom kept the home fires burning in their little apartment near Fenway Park, as dad hit the ground with the Allied forces in Italy. eventually (a relief for those of us to come), they reunited. heretofore unheard of by city dwellers (my cousin Pete confirms this), my parents moved to the ‘burbs. 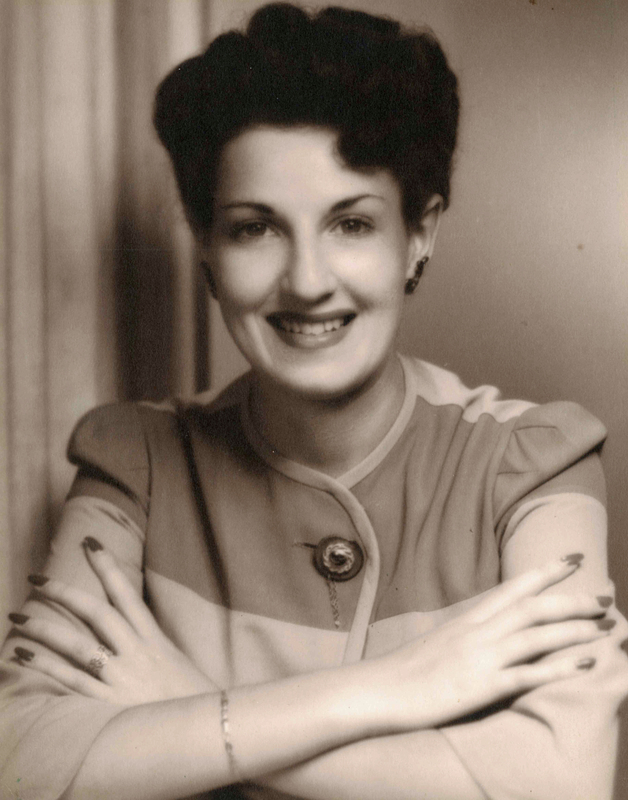 in their idyllic subdivision (another term foreign to my relatives), my mom thrived. with her signature style and panache, she planted gorgeous perennial and rose gardens, complemented by carefully chosen annuals. she delighted in her lilacs, rhododendrons and azaleas. and perfected recipes she found in the Better Homes and Gardens Cookbook. into this bliss, came i, and then my sister. i never knew my parents didn’t have a lot of money because they gave us everything. i was lavished with ice skating lessons, ballet lessons, horseback riding lessons, swimming lessons, music lessons. clearly, i had a lot to learn. i excelled only at the latter two, but from my mom’s point of view, i shone in every undertaking. a voracious reader, she taught me to how to read at a very young age; i mirrored her enthusiasm. hand in hand every Friday afternoon, we’d walk to the elementary school parking lot, where we entered the magical world of the Bookmobile and left with a tall stack of treasures. in her kitchen, i began my love affair with cooking. she sent me to girl scout camp for a month every summer. attended every one of my multitudinous—and generally less-than-virtuosic—concerts. helped me to get settled in my college dorm—2,000 miles away from home. made the gown for my junior recital and flew the 2,000 miles to deliver it. she never asked for anything in return. 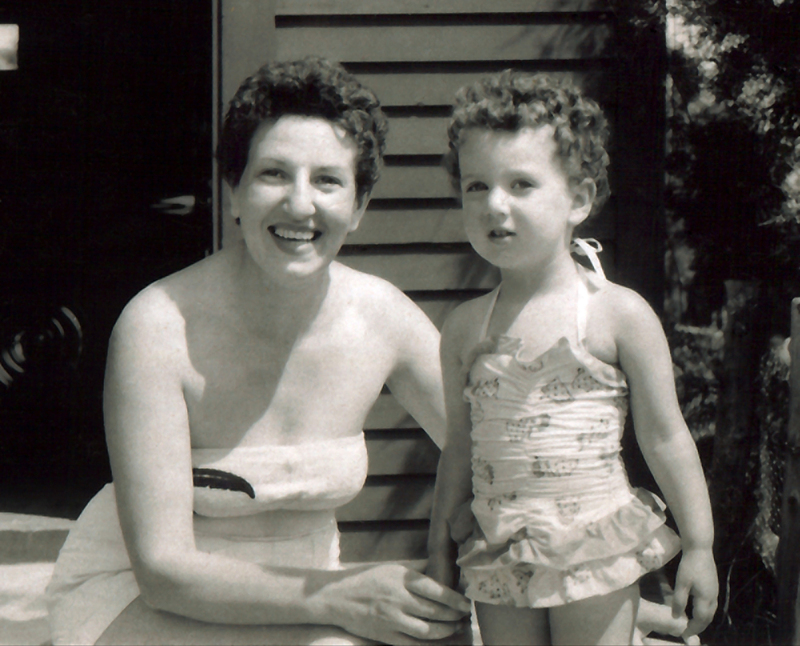 from the beginning until the very end, my mother was my champion and confidante. but when i decided to come out, i feared telling my mom the most. what if i damaged our relationship beyond repair? it would be like losing my lifelong best friend. i picked up the phone countless times to call her, and placed it back on the receiver. finally, i let the call go through. what was i thinking? my cool, open, liberal mom said, “i just want you to be happy.” like, yes, dear. whatever. what are you making for dinner tonight? how’s the weather there? 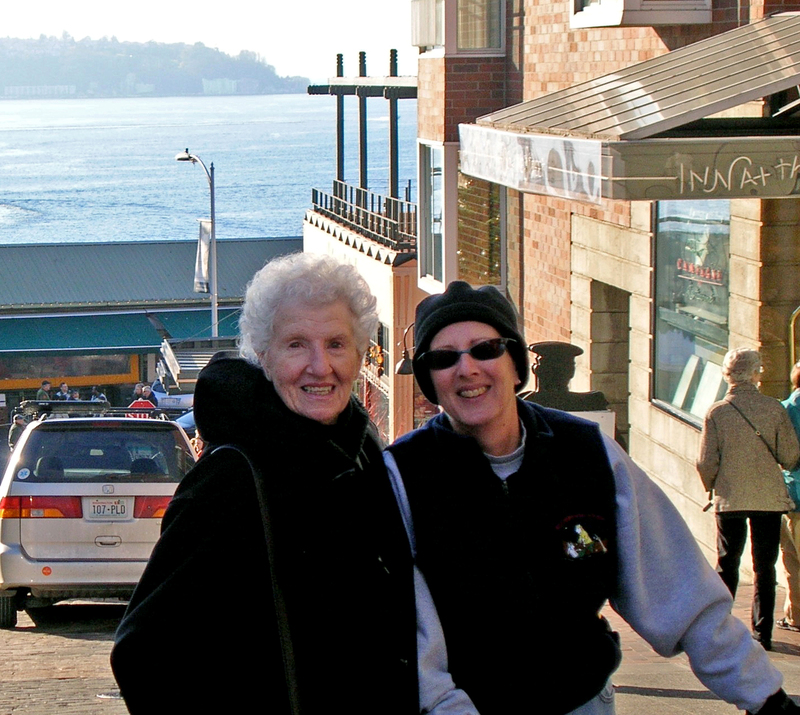 i had the privilege of having my mom live with me the last five years of her life. oh, it wasn’t always perfection. in fact, at times, it was completely contentious. with age, came change. and i think we both fought it. 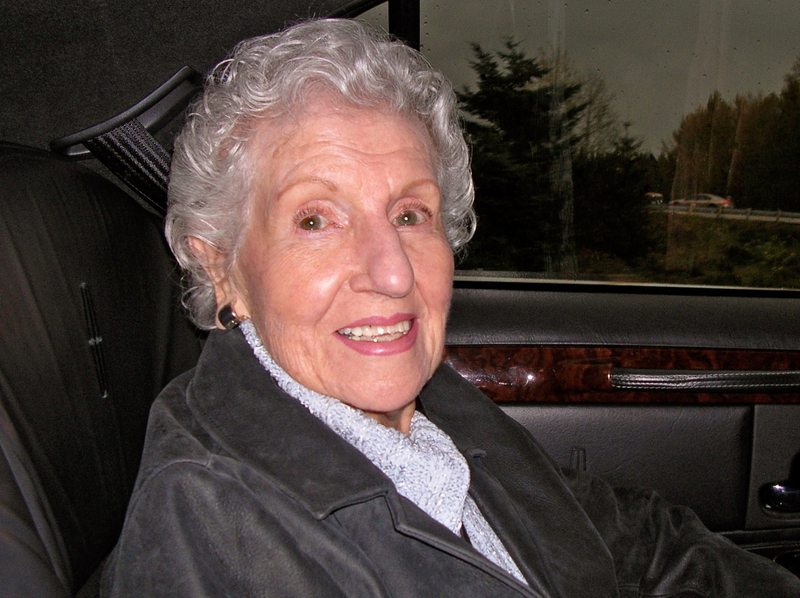 in as much as she taught me the values by which i live, we also shared a wicked New England stubborn streak. despite the adversity, i’m grateful for every day she was here. when i forgetfully leave the television on, or 1/4-inch of juice in the bottom of a bottle, or can’t find where i left my glasses, i lovingly say, i’m doin’ a Fran. in my memory and heart, she remains my champion. and the love we’ve shared for a lifetime, is for all time. miss you every minute, little bird. see ya on the flip side. Simply beautiful. What an amazing tribute to an extraordinary woman. But for the record, I LOVE YOUR CURLY HAIR! The time you let it get about an inch long, if that long, and we could actually SEE it, I thought it looked great. But if it makes you happy to shave your head, so be it. As your mom often told you, if it makes you happy… How lucky for you and your sister to have parents who had the strength and courage to let you follow your hearts and whims into happiness. Sending big hugs! I know you miss her profoundly, but continue to find the beauty and continuity in those little moments when you “pull a Fran”. Thinking good thoughts for you- Be well! thanks, T. have genuinely appreciated your generosity and support during these last months. i will, no doubt, keep pulling those “Fran’s” she loved talking with you! Wow! This one is awesome! You described Mumma to a t!! I remember her being the brownie leader too! All of my friends felt the same way about her. She was the coolest. I knew that early on too! She was like a little pied piper! She was one awesome lady! I miss her soo much! Still want to pick up the phone and call her! LOVE YOU KISSY LIPS!! thanks, Em. i have the look and feel, but none of the glam. Naw, I’m the sister that got her ‘glam’! Dressing up and jewelry! That’s me!! What a tender, loving tribute to a lovely woman. I’m was blessed to get to know her. What a lady. I’m sure she’s beaming proudly on you as her parents did on her. Keep savoring those wonderful memories in your heart and with your beautiful words. thanks, M. glad you came by to read it. thanks, Anne. hope mom’s grinning; think she kinda liked being in the limelight. oh, you have your mom to take grammy’s place. she inherited the Bostonian crazy-driving gene.